In recent years, successful women in business are challenging the negative connotation associated with being considered ambitious (it is usually only seen as a positive quality in men). In fact, the last years have seen an increase in amazing and innovative female entrepreneurs, such as Arianna Huffington (The Huffington Post founder), Indra Nooyi (CEO of PepsiCo), and Sheryl Sandberg (Facebook COO), who are helping challenge this gender bias. In fact, often women even have trouble admitting their ambition because it doesn’t feel natural, and there is a worry that admitting your goals can make failure more evident. Powerful and famous entrepreneurs are pushing to redefine likability to include women who are ambitious. Below are three powerful lessons we can all learn from successful and ambitious women in business. But before we get started on the most ambitious women in business, we would love for you to like our growing Facebook page right here! Be sure to give us a quick follow on Instagram as well! 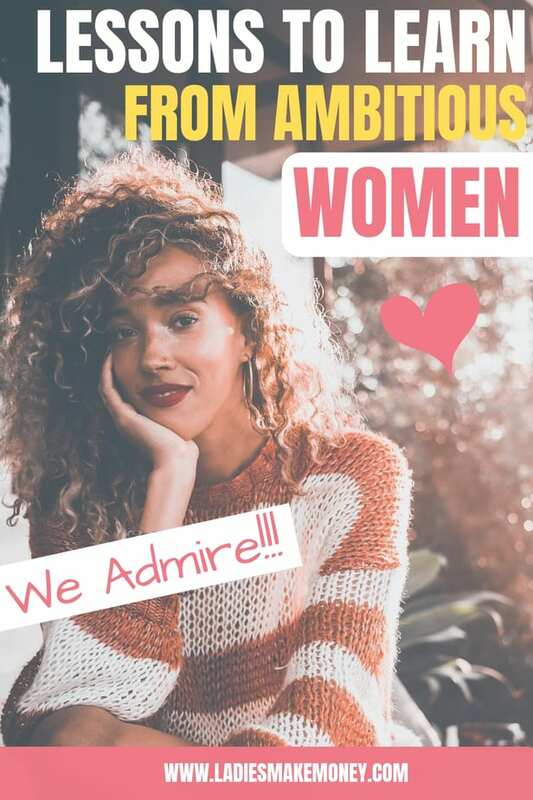 We love inspiring women like you and if you want to learn more about how to be a successful women entrepreneur, this post should give you plenty of inspiration. We love to write as many women in business articles as possible to keep you motivated and inspired! A key lesson for female entrepreneurs is to trust your instincts, and don’t wait for things to happen to you: make them happen yourself. For example, Reese Witherspoon started her own film production company, Hello Sunshine, in order to bring more stories about women to the big and little screen. She was told early on that this venture wouldn’t succeed as there wasn’t a market for these stories. She plowed ahead and is now the producer of a hit drama series that won 8 Emmy awards. In addition, three other Hello Sunshine projects were recently purchased by Apple, proving not only that female entrepreneurs can be extremely successful, but can also gain their success by promoting women’s stories in the media. Supreme Court Justice Ruth Ginsburg has a similar message for ambitious women in business and other fields of education. Although she excelled in law school and became the first woman on both the Harvard and Columbia Law Review, she still had trouble landing a job after graduating. Instead, she co-founded a Women’s Rights Project and found her purpose as the American Civil Liberties Unions’ general counsel fighting for women’s rights. Ginsburg’s passion for gender equality is her primary motivator for her ambition. She knows she can make a difference to this cause and she has confidence in her instincts. What does this mean for female entrepreneurs starting out? Don’t take no for an answer if you’re confident in your purpose and your instincts. “This doesn’t mean simply coming up with a good idea, but working hard and chasing that vision until you can make it become a reality. 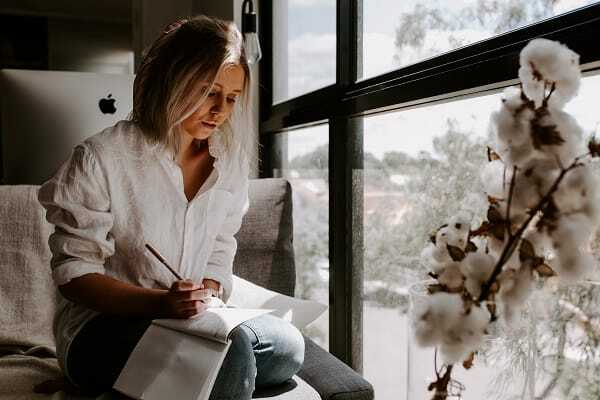 When it comes time to pitch your idea, or to stand up for something you believe in, you’re able to support it with a strong work ethic and background research,” explains Irma Harley, a Career Development Specialist at Write my x and 1 Day 2 write. Trust yourself, and work hard! Successful women in business don’t let obstacles be excuses for lack of commitment or a poor work ethic. The obstacles are what makes them stronger and more likely to own their ambition (as we’ll see in the third lesson). To return to the inspiring Ruth Ginsburg, she persevered despite all the challenges thrown at her: raising young children, fighting cancer, supporting her husband throughout an illness, and most recently and famously, not skipping a day of work after breaking three ribs at the age of 85. Successful and famous women in all fields, like Ginsburg, Oprah Winfrey, and Beyonce, are perfect examples to inspire us not to accept anything less than 100%. 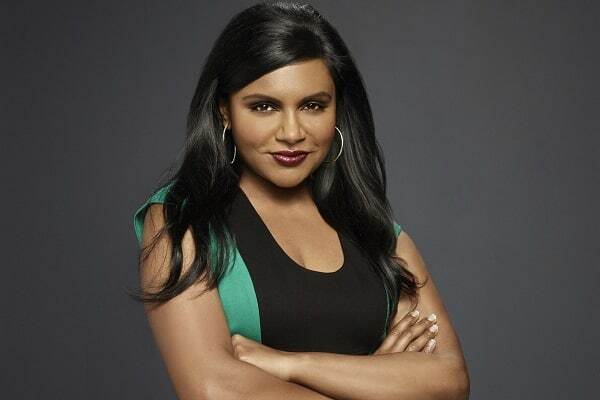 In the same way, Mindy Kaling strongly believes in seizing what you want instead of waiting to be offered an opportunity. She says the most successful women won’t ask “is that OK?” after every statement. Famous entrepreneurs will put in the effort to reach their goals, will become experts in their field and work harder than their peers. If you’ve done this, it’s perfectly normal to feel that you deserve to reach your goals. The key is not asking permission to do any of this, but just doing it. If you have accomplished the first lesson, and trust your instincts and the value you can bring, forge full steam ahead; if you wait for permission, you might be waiting forever and you’ll never accomplish your objectives. Many successful female entrepreneurs believe women need to be empowered to own their ambition and be proud of it. When women become successful, if they are open about their success it will only encourage more women to embrace their ambition. Women in business can also gain by promoting their success story because it will only reflect well on their business. If you look at the list of Fortune 500 CEO’s, only 4.6 of them are women. Women burying their ambition will never lead to society reaching gender parity. Unfortunately, many women tend to downplay their ambition and don’t frequently praise themselves. If you find yourself struggling with this lesson, it’s important to dive in with confidence – if you’re vocal about your successes it will only become easier with time. Don’t hesitate to support and praise other women as this will help them gain the confidence to own their successes themselves. What many successful female entrepreneurs have in common is that they never think about quitting since they always believe in themselves and are confident in their ambition. “The mentality that many women have towards ambition is that it’s ego-centric and self-centered and they do not feel comfortable owning it. This is why a shift in the perception of ambition is necessary, and famous entrepreneurs are speaking up about it,” says Melissa Pizarro, a Senior Human Resource Manager at Brit student and Australia 2 write. The vital first step is reflecting on your ambition and finding pride in it. Ask yourself if the way you think about ambition is preventing you from taking charge of your career. Think of your purpose and your motivation – what can you do to reach your objectives, and don’t make excuses along the way. Work hard, and share your success story with others. That’s how we change the mentality about ambitious women! Bio: Adelina Benson is an email marketer and writer at Academic Brits and Origin Writings. She assists with marketing, as well as proofreading and editing company correspondence. Adelina enjoys travelling, and challenging her preconceptions about the world by learning about different cultures. This is really amamzing! I absolutuely love the very first entry: Be confident in your instincts. Sometimes it can be scary to trust your gut but more times than not we know it’s right and we just have to go for it! Ithink in this momemnt I really needed to hear this reminder. Thanks fo sharing! Absolutely, We have a lot of women in business or women that want to start business that are not confident! In order to succeed you need to believe!